The performance art of burlesque, once a faded form, has made a comeback in the twenty-first century, and it has shimmied back to life with a vengeance in Cleveland. Thanks to fans and entrepreneurs, neo-burlesque has taken the stage—and it’s more inclusive, less seedy, and emphatically fun. 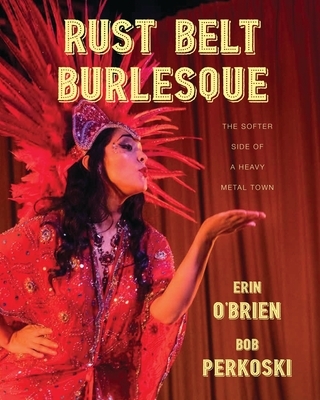 Rust Belt Burlesque traces the history of burlesque in Cleveland from the mid-1800s to the present day, while also telling the story of Bella Sin, a Mexican immigrant who largely drove Northeast Ohio’s neo-burlesque comeback. The historical center of Cleveland burlesque was the iconic Roxy Theater on East Ninth Street. Here, in its twentieth-century heyday, famed dancers like Blaze Starr and comics like Red Skelton and Abbott and Costello entertained both regulars and celebrity guests. Erin O'Brien’s lively storytelling and Bob Perkoski’s color photos give readers a peek into the raucous Ohio Burlesque Festival that packs the house at the Beachland Ballroom every year. Today’s burlies come in all shapes, ethnicities, and orientations, drawing a legion of adoring fans. This is a show you won’t want to miss.